I am a traditional artist that found my way to the world of dark art to create gorgeously disturbed artwork in diverse media, from digital visuals, to book covers and illustrations, to three-dimensional sculpture. Though new to the Los Angeles art scene, my images of fallen angels, aspiring demons, and barely human outsiders have caught the attention of horror connoisseurs and fellow artists such as Clive Barker (Abarat), Kat VonD (tattoo artist) and Del Howison (Dark Delicacies: Haunted). This new world revealed an un-traveled path in my creativity. A path that has taken me deeper within myself and ultimately has become a journey of self-discovery. I am a self-taught artist. 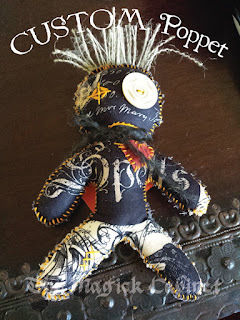 I experimented and dabbled until I refined my dark expression of my angelic and demonic art. These are images that have plagued my dreams for years and now have found freedom to haunt me no longer. I create out of necessity and now I want to share just a shadow of my spirit. JACK - A ZOMBIE LOVE STORY A new book cover completed July 2012. Publication Date: March 19, 2013 Here's the link! Buy the Book It's a fun, exciting, rip roaring story from a new rising author Matthew Tomlinson! I'm not broken. I'm a Zombie." "FEAST OF FOOLS" - New polymer clay horror art piece. His teeth are real bone chips and the bones above his left eye are from a badger. The rusty nails and chicken bone represent his feast and the way they crowned him the King of the Feast. I have a VERY limited printing of "Kindred Kind" ready to purchase! Printed on artist canvas. 36 x 24 Limited to 10 only! $300 each. Sold one before they were even printed! "SHE WHO MUST BE NAMED"
Audra Phillips ©2011. All Rights Reserved. "Nothing Left Inside" She'll be limited to 50 prints and is 36" tall x 24" wide. $300 if your interested. . . . :) Done July, 2011 Finally. Commissioned Dark Art piece. "Lily" December, 2010. © Audra Phillips. All right's reserved. No reproduction is allowed digital or print. Yup, you're right - I don't post much of anything here anymore. There's a reason for that. I haven't made any new art. Art for me was about a tortured soul that could never be herself. Well, those days are over and it seems my muse has flown the coop. On the other hand: I have come out of the Broom Closet and started my own witchcraft supply shop on my new website: The Magick Cabinet and on Etsy! It's a wonderful feeling not to hide one's true self any longer. I'm using my creative, crafty spirit to blend magical oils, potions and brews. Herbal mixtures for your spells and even a few (100) custom Witches Poppets. So if you want to catch me doing what I was always meant to do - come on over to the shops! 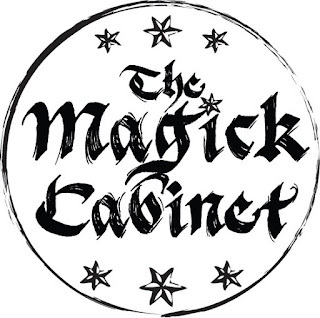 There's also an extension of The Magick Cabinet in Zoku's Zazzle shop! Pagan, Witch and Wicca clothing, altar cloths, altar tiles, boxes and much more! This From: Eric J. Guignard. . .
"For those who didn’t hear, AFTER DEATH… just won the 2013 Bram Stoker Award® for superior achievement in an anthology!! Winning a Bram Stoker Award is an amazing accomplishment, and you all should feel proud to have been an integral part of this. The company we share in this year’s other awards categories is breathtaking (with a special kudos to one of our own, Joe McKinney, who also won in his own category of Young Adult novel). Particular thanks to our publisher, Stan Swanson, at Dark Moon Books, and our illustrator, Audra Phillips who vividly brought each story to life through her artwork. Below is the official announcement, and here is a link to video of the entire awards presentation: https://www.youtube.com/watch?feature=youtu.be&v=3qOS2tdeFuQ&app=desktop"
Very exciting! Not only is it the very first book I've fully illustrated but it's an AWARD WINNING Book! Congratulations to all the great authors and awesome editor Eric Guignard! Woo Hoo! Well, the 35 illustrations for this book are finally finished! "...Though the majority of the pieces come from the darker side of the genre, a solid minority are playful, clever, or full of wonder. This makes for good variety but a bit of emotional whiplash, somewhat mitigated by Guignard’s clever introductions and Audra Phillips’s portraitlike illustrations. This strong and well-themed anthology is sure to make readers contemplative even while it creates nightmares. (May)"
Please go to the link to read the whole review, but I had to share. The artist hardly gets mentioned in a review so it's a pretty special day. Copyright Audra Phillips ©2012. All Rights Reserved. "Be Quiet at the Back"
Solo Art Show at the LA ART WALK! The Downtown LA Art Walk is a monthly showcase and celebration of the best galleries, artists and photography. Next month is my time to shine with the best of them. This solo art show will encompass old and new art, even a few of the new sculptures! It's going to be a PARTY! Wine and refreshments will be provided along with groovy music and maybe a special surprise from Black Phoenix Alchemy! I hope so! The Hatakeyama Gallery is famous for their Photography exhibits, I am honored to be their first edgy art show! The gallery is super excited as it will be their FIRST non-photographic showing! In their words "We're a bunch of geeks around here, it will be awesome to have the 'cool people' hanging out!" Hatakeyama Gallery ~ 905 Hill St. Downtown LA. Opening night party, Sept. 13th, 2012 L.A. Art Walk! There's a huge parking lot right on the corner of Olympia Blvd and Hill st, 2 doors down from the gallery. So come hang out with us and bring friends! Enjoy a night of strange art, good wine and haunting melodies. Soda pop label I created for the Richard Matheson signing at Dark Delicacies. Here it is! Mutation Nation! My first book cover! Publish date December 17, 2011. We Are the Mutation Nation! 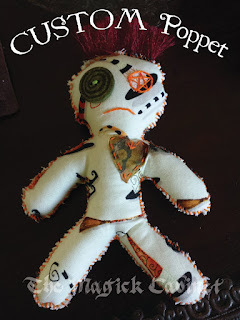 The scariest monsters may not be the supernatural creatures we've been taught to fear. We can run from the marauding zombie, refuse to invite a hungry vampire, or turn on the light to banish the ghost in the dark. But there is one thing we cannot escape: our own DNA. When the very stuff we're made of starts to change, we question what it is to be human. The answer may lead us to a country known as Mutation Nation. The citizens of Mutation Nation are gathered here in eleven all-original stories from the inventive minds of New York Times bestselling author Stephen Woodworth (Through Violet Eyes), actress/writer Barbie Wilde (Hellraiser II, Hellbound Hearts), Pushcart-nominated writer Jarret Keene (A Boy's Guide to Arson), and other masters of the misfit who are sure to convince you that the most bizarre creatures in existence are ourselves. Let the maladaptive mayhem begin. Meet the inhabitants of Mutation Nation. You can get it at Amazon and just about every other book seller. Click on the image to purchase at Amazon. I'm working on Steampunk jewelry, figurines and costume embellishments for a new upcoming web series called "TINKER". As soon as I get a link to it I will post it for everyone to check out! In the mean time go to the Steampunk Obscura page and see the new stuff! Universal Studios Halloween Haunt Night's is one of the largest Halloween events around the country and this year they have ask if I'd be willing to show some of my art in one of the haunted exhibits. The Kids toy room to be exact. Of course I jumped on the chance! Rumor even has it that Rob Zombie and Alice Cooper are designing a couple of the attractions! Very cool to rub some Rock Icon's elbows! I've been commissioned to do the cover art for a new book! It's all pretty hush-hush at the moment, but as soon as I can I'll post a link to the image and the book! Lets just say it's right up my alley! Here's the first little tid bit and an image of the cover art! This is what the book will be about and if your a writer consider submitting a story! My art has been featured at The Knightsbridge Theatre in Los Angeles, for the production of MEDEA, directed by Travis Terry. "KARNEY KIDS" Horror art. Limited edition print 25. Audra Phillips ©2010. All Rights Reserved.